During his short presidency, John Kennedy surrounded himself with some of the country’s sharpest minds and most credentialed individuals, yet was exasperated much of the time by the inadequacy of the advice they provided him. In Camelot’s Court: Inside the Kennedy White House, Robert Dallek elaborates upon this theme in a work that is above all a portrait of President Kennedy and a study of how he received and handled information and advice. Dallek is a prolific writer, the author of major works on Lyndon Johnson and on Richard Nixon’s relationship with Henry Kissinger, along with a full biography of Kennedy, An Unfinished Life: John F. Kennedy, 1917-63.
International crises in Cuba and Vietnam dominate Dallek’s book, far more than the Cold War confrontation over Berlin, which looms in the background but is surprisingly not a major topic (Berlin was the subject of a book reviewed here in February 2013, Frederick Kempe’s Berlin 1961: Kennedy, Khrushchev and the Most Dangerous Place on Earth). 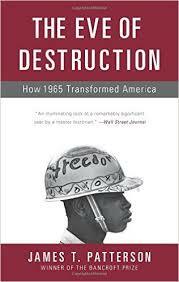 Behind Cuba and Vietnam in a distant third place among the book’s substantive topics is the Civil Rights movement within the United States. Kennedy believed that the cause was just and important but looked at the issues raised primarily as a distraction from more pressing international ones. The main mission of the Kennedy White House, Dallek writes, was to “inhibit communist advance and avert a nuclear war” (p.xi). Kennedy is often described as a hardline, anti-Communist Cold Warrior and, given the times, it is difficult to see how he could have been anything else. Throughout his short presidency, Kennedy was obsessed with not appearing weak and inexperienced, especially in standing up to the Soviet Union. But the Kennedy in these pages is also exceptionally wary of the use and misuse of American military power to advance national interests in a dangerous nuclear age, way more than a surprising number of his closest advisors. As President, Kennedy consistently and often heroically resisted the urgings of these hard liners. Among Kennedy’s advisors, his brother Robert Kennedy, who formally served as Attorney General in his brother’s administration, occupied a special position as the president’s “leading advisor on every major question” (p.65). Robert Kennedy was his brother’s alter ego, an “enforcer” whom “everyone had to answer to if they fell short of the president’s expectations” (p.175). When the president needed to stay above the debate, brother Robert “could freely state his brother’s views” and, as needed outside the presence of his brother, “openly announce that he was declaring what the president wanted done” (p.334). 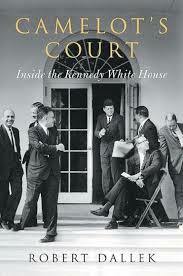 John Kennedy came to believe that “only Bobby could be entirely trusted to act on his instructions” (p.328). By contrast, President Kennedy’s relationship with the career military officers in his entourage was fraught with tension and mistrust from the outset of his administration. Most Americans considered Kennedy a naval war hero, based on his widely publicized rescue of the crew of PT-109, a torpedo boat cut in half by the Japanese. The military, however, accustomed to serving former World War II Supreme Allied Commander Dwight Eisenhower during the previous eight years, “questioned the new president’s qualifications to manage the country’s national defense” (p.69). General Lyman Lemnitzer, Kennedy’s first Chairman of the Joint Chiefs of Staff, the administration’s highest ranked career military official, looked derisively at the young president as a man with “no military experience at all, sort of a patrol boat skipper in World War II” (p.70). But the real issue between Kennedy and the military, Dallek emphasizes, was “not Kennedy’s inexperience and limited understanding of how to ensure the country’s safety,” but rather “Kennedy’s doubts about the wisdom of using nuclear arms and the military’s excessive reliance on them as a deterrent against communist aggression” (p.70). Dallek begins with a long biographical sketch of John Kennedy that culminates in his narrow victory in 1960 over Vice-President Richard Nixon, familiar ground for most readers. He follows with a similar sketch of brother Robert, in a chapter entitled “Adviser-in-Chief;” and with still another chapter describing the background of some of the “extraordinary group of academics, businessmen, lawyers, foreign policy and military experts” (p.x) whom Kennedy tapped to work in his administration. This chapter, entitled a “Ministry of Talent” — a term borrowed from Theodore Sorensen, one of Kennedy’s leading advisors – includes short portraits of many individuals likely to be familiar to most readers: Defense Secretary Robert McNamara; Secretary of State Dean Rusk; Vice President Lyndon Johnson; US Ambassador to the UN and two time Democratic presidential nominee Adlai Stevenson; and National Security Advisor McGeorge Bundy, among others. Dallek’s substantive account begins only after this lengthy introductory material, about a third of the way into the book, where he focuses on how President Kennedy received and handled the advice provided him, especially during the Bay of Pigs operation in Cuba in April 1961; the Cuban Missile Crisis of October 1962; and Vietnam throughout his presidency. In Dallek’s account, Kennedy was ill-advised and misled by his advisors during the Bay of Pigs operation; admirably led his advisors during the Cuban Missile Crisis; and defaulted to them on Vietnam. Dallek’ addresses the ill-fated CIA Bay of Pigs operation in Cuba, which took place less than 90 days into the Kennedy presidency, in a chapter entitled “Never Rely on Experts.” The far-fetched operation was hatched during the Eisenhower administration and was presented to the president as a way to rid the hemisphere of nemesis Fidel Castro and what the United States feared was his very contagious form of communism. The plot consisted of utilizing approximately 1,500 Cuban exiles to invade the island, on the assumption that this small force would incite the local population to rise up and throw out Castro (the plot figures prominently in Steven Kinzer’s The Brothers, reviewed here in October 2014). Although Kennedy shared a sense of urgency in removing this communist threat just 150 kilometers from the United States’ southern coast, he worried about the perception in the rest of Latin America of any operation in Cuba tied to the United States. The question was not whether to strike against Castro, but rather how to bring him down “without provoking accusations that the new government in Washington was no more than a traditional defender of selfish U.S. interests at the expense of Latin [American] autonomy”(p.133). Kennedy was willing to accept the project’s dubious assumption that the operation could be executed without revealing U.S. government involvement, but opposed from the outset the commitment of U.S. military forces to supplement the exiles’ operation. Dallek suggests that Kennedy gave the green light to the operation primarily for political reasons, fearing the conservative reaction if he refused to go forward. As the world now knows, the operation was a colossal failure, badly wounding the inexperienced president early in his tenure. Dallek documents several key instances where advice to the president was, at best, incomplete, as well as some key facts that were withheld in their entirety. Deputy CIA Director Richard Bissell failed to tell the president that the CIA had concluded that the mission could not be successful without the engagement of direct U.S. military support, an option that Kennedy had all but ruled out. Bissell further told the president that if the initial invasion action were to falter, the exiles could escape into nearby mountains to regroup and lead the anti-Castro rebellion. However, he neglected to tell the president that they would have to cross about 80 miles of swampland to reach those mountains. Secretary of State Dean Rusk and Undersecretary of State Chester Bowles shared Kennedy’s doubts about the flawed scheme but failed to stand up to the CIA in internal deliberations, discrediting both in the eyes of the president. Then, after the operation failed, Bowles leaked a document to the press showing the State Department’s reservations, infuriating Kennedy. As he tried to recover from this devastating early blow to his presidency, Kennedy’s wariness of military advice transformed into a more generalized distrust for the advice of all experts. The Cuba story had a largely successful denouement the following year, with the famous October 1962 Cuban Missile Crisis. Although the United States knew by August of that year that unusual Soviet activity had been going on in Cuba, it was not until October 15th that intelligence officials definitively concluded that offensive missiles had been installed on the island, with a capacity to reach well over half of the United States. Over the next two weeks, the Cold War’s hottest crisis ensued. Kennedy’s strategy at the outset was to “broaden the group of consultants in order to ensure the widest possible judgments on how to end the Soviet threat peacefully, if possible,” notwithstanding the “poor record of his advisors on Cuba” (p.296). But Kennedy also “needed to guard against a domestic explosion of war fever, which meant hiding the crisis for as long as possible from the press and the public” (p.296). Kennedy’s Joint Chiefs of Staff predictably favored an air strike upon Cuba, followed up by a military invasion of the island. Several advisors, including former Secretary of State Dean Acheson, also urged air strikes against the missiles, with the possibility of subsequent military invasion. The aging Acheson, who disdained Kennedy, seems especially casual in Dallek’s account about using American military force. Defense Secretary McNamara was a counterpoint to the hawkish views of Acheson and of the military men under his command. McNamara developed early in the discussions the idea of a naval blockade rather than a military strike. The turning point came when Robert Lovett suggested that they call the blockade a “quarantine,” defining the U.S. action as “more of a defensive measure than an act of war” (p.315). Lovett’s “long experience in government and reputation for moderate good sense helped sway Kennedy. By contrast with Acheson, who urged prompt military action . 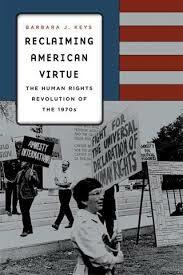 . . Lovett thought the blockade was the best way to resolve the crisis, with force as a last resort” (p.315). Secretary of State Dean Rusk, whom Kennedy had considered weak and passive during the Bay of Pigs fiasco, revived his standing with Kennedy as a “cautious but steady presence” throughout the crisis, a “voice of reason that helped Kennedy resist the rash urgings of the military Chiefs” (p.333). Former Ambassador to the Soviet Union Llewellyn “Tommy” Thompson drew on his experience in Moscow to provide Kennedy with his assessment of how Soviet leader Nikita Khrushchev was likely to react and respond. Thompson thought that Khrushchev might be at odds with his own military chiefs and was able to convince Kennedy that “negotiating proposals might pressure [Khrushchev] into conciliatory talks” (p.313). Critical to the approach Kennedy finally adopted, Thompson advised the president to make it as easy as possible for Khrushchev to back down. Throughout the deliberations, Robert Kennedy retained his unique role, “less a thoughtful commentator” and more an “instrument of his brother’s ideas and intentions” (p.334). Even after Khrushchev ordered missile-bearing Soviet ships to turn around and had otherwise signaled to the United States his willingness to defuse the crisis, the Joint Chiefs continued to advocate for the air strike and military invasion option. Kennedy considered this option “mad,” (p.332) and it appears even more so a half-century later. It is impossible to say, Dallek writes, “whether an invasion would have provoked a nuclear exchange with the Soviets.” But it is clear that the Soviets had “tactical nuclear weapons ready to fire if U.S. forces had invaded the island. Whether they would have fired them is unknowable, but the risk was there and certainly great enough for firings to occur in response to an invasion” (p.332). Having successfully defused the missile crisis, Kennedy “found it impossible to shelve plans for a change of regimes in Cuba” (p.373) during the remaining thirteen months of his administration prior to his assassination in Dallas in November 1963. But the nationalist uprising in Vietnam and the inability of the South Vietnamese government to resist that uprising was another cause of concern throughout the Kennedy administration. Kennedy appeared to accept the “domino theory,” that the fall of one developing country to international communism would lead to the fall of many if not most of its neighbors. He did not want to be the president who “lost” Vietnam, as Truman’s opponents labeled him the president who “lost” China. Equally important, he did not want to give the Republicans an issue they could use against him in the upcoming 1964 presidential elections. Yet, Kennedy was extremely reluctant to commit the United States to another land war in a distant location, all too reminiscent of the Korean War that had undermined Truman’s presidency. “For all Kennedy’s skepticism about involvement in a jungle war that could provoke cries of U.S. imperialism, he also saw Vietnam as a testing ground the United States could not ignore” (p.166-67). Kennedy never reconciled “his eagerness to prevent a communist victory in Vietnam” with his “reluctance, indeed refusal, to turn the conflict into America’s war, which risked [South Vietnam’s] collapse” (p.429). Dallek documents a series of tense and sharply divided internal meetings with the president on Vietnam. Not surprisingly, Kennedy’s career military advisors saw Vietnam primarily as a military problem, with a military solution. But, after the Cuban Missile Crisis, Kennedy seems to have concluded that they had little to offer in terms of substantive advice. Kennedy’s Deputy National Security Advisor Walt Rostow, a brilliant MIT professor with an “unlimited faith in social engineering” (p.165), also consistently offered hawkish views. Rostow was “apocalyptic about the consequences of inaction: ‘The whole world is asking. . . what will the U.S. do. . .?’ The outcome of indecisive U.S. action would be nothing less than the fall of Southeast Asia and a larger war” (p.243). McNamara, the putative boss of the military chiefs, initially favored the Rostow approach, as did Secretary of State Dean Rusk, although both ultimately came to advocate a political rather than military solution in Vietnam. John Kenneth Galbraith, the Harvard professor whom Kennedy had appointed as Ambassador to India, regularly sent letters directly to Kennedy, rather than through his boss, Secretary of State Rusk. Galbraith argued that there were no direct or obvious U.S. interests involved in Vietnam, and that it would be a mistake to commit American military resources to the defense of South Vietnam, its weak and wavering ally. Galbraith saw direct military involvement in Vietnam as leading the United States down the same path the French had traveled a decade earlier. Instinctively, Kennedy wanted to go with Galbraith’s position, but he never adopted that position, either. Rather, he mostly dithered. Kennedy repeatedly sent high-level advisors on short fact-finding trips to Vietnam. They typically returned to provide the president with upbeat reports on South Vietnam’s capabilities of defending itself, but with few if any realistic recommendations on how the United States should proceed. In September 1963, after the last such fact-finding trip to Vietnam during the Kennedy administration, General Victor Krulak, Special Assistant for Counterinsurgency to the Joint Chiefs of Staff, and Joseph Mendenhall, a State Department Asian expert, reported back to the president. Krulak “described a war that was moving in the absolutely right direction and was going to be won” (p.406), whereas Mendenhall saw an “entirely different universe: ‘a virtual breakdown of the civil government in Saigon’” (p.406-07). The astonished and plainly frustrated Kennedy retorted, “The two of you did visit the same country, didn’t you?”(p.407). The specific Vietnam item on Kennedy’s agenda by that time was whether to support a coup aimed at ridding South Vietnam of its leader Ngo Dinh Diem. By early 1963, the United States had concluded that Diem, a “staunch anticommunist Catholic” (p.230) with an “authoritarian and perhaps paranoid personality” (p.163), was unable to lead his country in resisting the North Vietnamese. What to do about Diem was the predominate issue over the final months of the Kennedy presidency, a “war within the war” (p.350). The pressure on Kennedy to give the go-ahead for a coup was “unrelenting” (p.403). But with no explicit orders from the president forthcoming, Undersecretary of State George Ball, acting in the absence of Secretary of State Rusk, finally told Ambassador Henry Cabot Lodge, Jr., in Saigon to tell anti-Diem generals that Washington approved a coup. Kennedy had “neither approved nor opposed a coup, but simply said he didn’t want it blamed on the United States. Kennedy’s uncertainty about what to do about Vietnam allowed advisers to fill the policy vacuum” (p.415). The coup took place on November 1, 1963, without Kennedy’s authorization and apparently with at best only minimal U.S. involvement. It ended up assassinating Diem and his brother Nhu, not sending them into exile, as Kennedy had desired. Kennedy allowed his administration’s Vietnam problem to “fester rather than confront a hard decision to expand U.S, involvement or shut it down,” Dallek writes. Kennedy’s hope was eventually to withdraw from Vietnam with “at least the appearance, if not the actuality, of victory. It was something of a pipe dream, but simply walking away from Vietnam did not strike him as a viable option – for both domestic political and national security reasons” (p.342). Dallek’s account of Kennedy’s Hamlet-like deliberations over Vietnam sets the stage for the question that Americans have been asking ever since: had Kennedy lived, would he have resisted the urgings to which successor Lyndon Johnson succumbed to escalate the war in Vietnam through large-scale US military participation. There is plenty of evidence to support either a yes or a no answer, Dallek indicates, and it is “impossible to say just what Kennedy would have done about Vietnam in a second term, if he had had one.” But, “given the hesitation he showed about Vietnam during his thousand-day administration, it is entirely plausible that he would have found a way out of the conflict or at least not to expand the war to the extent Lyndon Johnson did” (p.419), Dallek concludes. Kennedy scholars may find that Dallek’s work contains little that is new or fresh about the already extensively studied Kennedy administration. Yet, any reader who has worked in a bureaucracy, public or private, and has ever left a key meeting unsure whether the boss fully understood his or her brilliant arguments, is likely to appreciate Dallek’s close up depictions of how the ever skeptical and often distrustful Kennedy interacted with his advisors. In Dallek’s telling, the boss fully understood his advisors’ arguments.